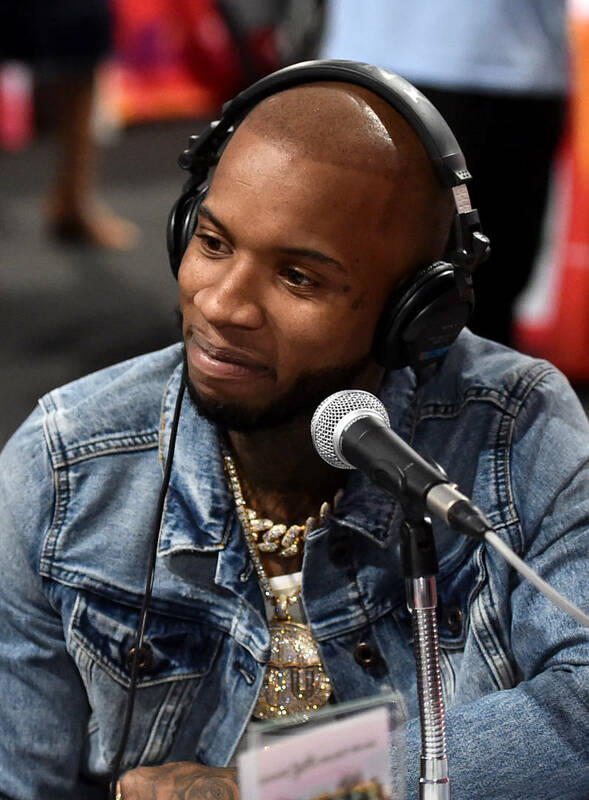 Home>Music> Tory Lanez Says He Ran Up On Dax As A Source Of "Entertainment"
Over the past few months, Tory Lanez engaged in a few rap battles with the likes of Joyner Lucas, Don Q and proposed to go bar-for-bar with the likes of J. Cole and the Dreamville camp as well as Pusha T. Canadian rapper Dax released a diss track towards the Toronto emcee which caught many by surprise -- not because a fellow Canadian dissed Tory but rather due to the fact Dax is a relatively unknown name to most. Tory recently sat down with Akademiks and explained the reason why he decided to post the video of Dax apologizing. If you haven't been all caught up by now, Tory Lanez shared a hilarious video of Dax apologizing while out of breath for releasing a diss track towards Tory. For Tory, this wasn't done out of anger but for sheer entertainment purposes. "I felt like, at the end of the day, this is funny to me," Tory said about the viral clip. "My adrenaline is high, I just seen you run down the street. This is now funny to me and now this is entertaining and this is the prize of my entertainment. I'm finding, you weren't this guy, I find this outrageously funny that somehow the disrespect that I thought that you had, you still had it, but you just weren't that guy in front of my face." Tory then explained the only reason he deleted it is because he didn't want to shine more light on Dax. MUSIC Tory Lanez Says He Ran Up On Dax As A Source Of "Entertainment"